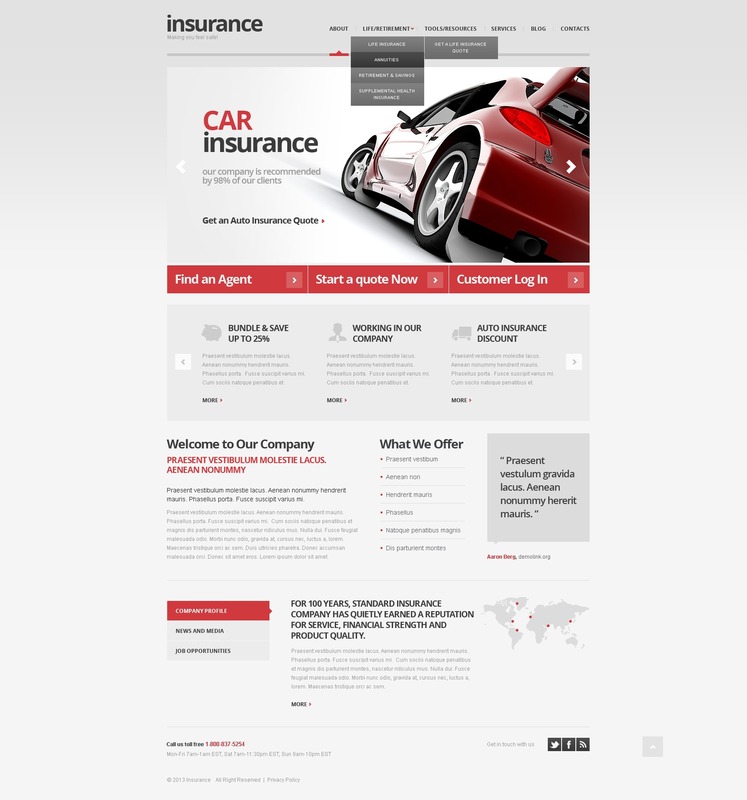 This simple web template has everything needed for suitable presentation of the car insurance company. The registration option would bind the customers with the website tighter. The slider supplements minimalist design with attractive pictures. The content area was developed to show the advantages and offerings of your company.